We study the behavior of eigenfunctions for magnetic Aharonov-Bohm operators with half-integer circulation and Dirichlet boundary conditions in a planar domain. We prove a sharp estimate for the rate of convergence of eigenfunctions as the pole moves in the interior of the domain. 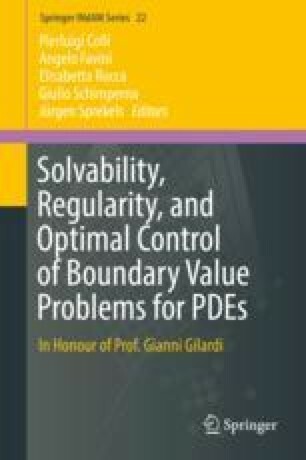 This paper is dedicated to Professor Gianni Gilardi on the occasion of his 70th birthday. The authors have been partially supported by the project ERC Advanced Grant 2013 n. 339958: “Complex Patterns for Strongly Interacting Dynamical Systems—COMPAT”. V. Felli has been partially supported by PRIN-2012-grant “Variational and perturbative aspects of nonlinear differential problems”.